The dispute started back in 2016 when the two companies argued about a) Patent infringement, and b) Smear campaigns. 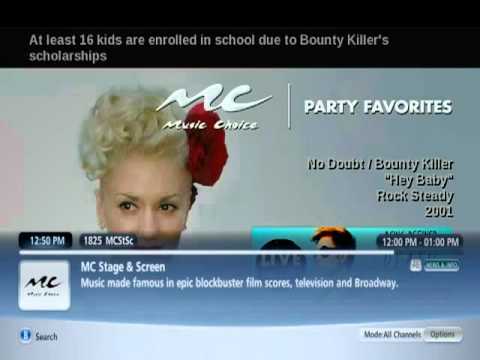 Music Choice has lost many customers to Stingray Digital, and Music Choice has been the main provider of “Music for Cable TV” in the United States for decades. Their empire covered COMCAST, AT&T, Time Warner, Verizon, and many more operators around the US/Canada. Stingray Digital has been acquiring many competitors such as “Musak,’ “DMX/Mood Media,” and many others that are turning Stingray into a massive one-stop shop for “Music for Cable TV,” In LATAM for example, there are only two options, either you purchase my product EGLA’s MEVIA — Music for Cable or theirs. 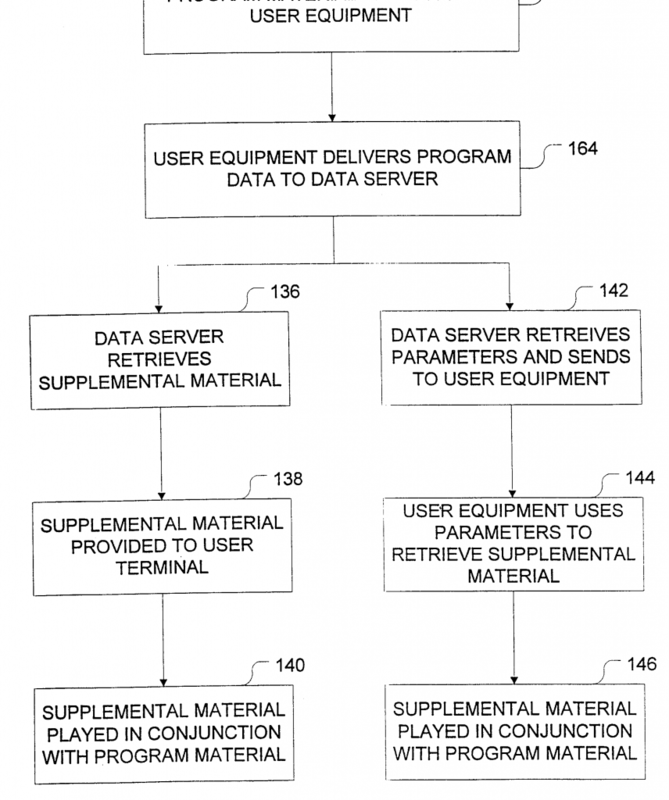 The patents owned by Music Choice describes the system that they use to deliver music content to their cable operators, using a server and software. 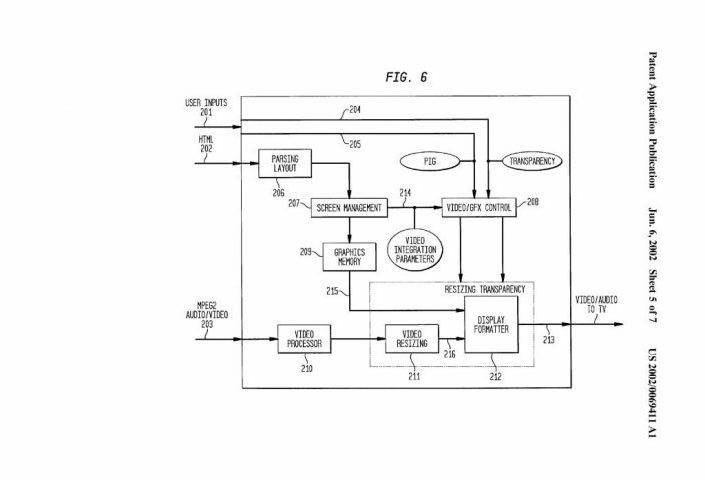 In my opinion, the one patent that had more chances to survive describes a system for delivery to Cable TV and connects a “First Transmission System” with a “Second Transmission System,” or the Cable TV network. The “First Transmission System” refers to the area where the music is stored together with some XML/HTML schema that provides information on how the User Interface layout will be shown on your TV, while the “Second Transmission System” refers to the Cable TV system broadcasting network. You may find more details of the description on US Patent 8,769,602 and more about this case on PACER. Additionally, the patents use a definition of “Data Packet” or which is also mentioned in the IPR/PTAB that can be built using XML or HTML. This HTML/XML schema describes the User Interface (UI) that is being shown to the users or subscribers in your cable TV network and displayed on your TV at home. Then the Data Packet and the Audio is then multiplexed and sent over to a Set Top Box (STB) at home, where your STB will receive both the UI and the music as you are likely used to today. But, what if then your STB at home does not support and stream the XML/HTML payload and cannot render your video and music? 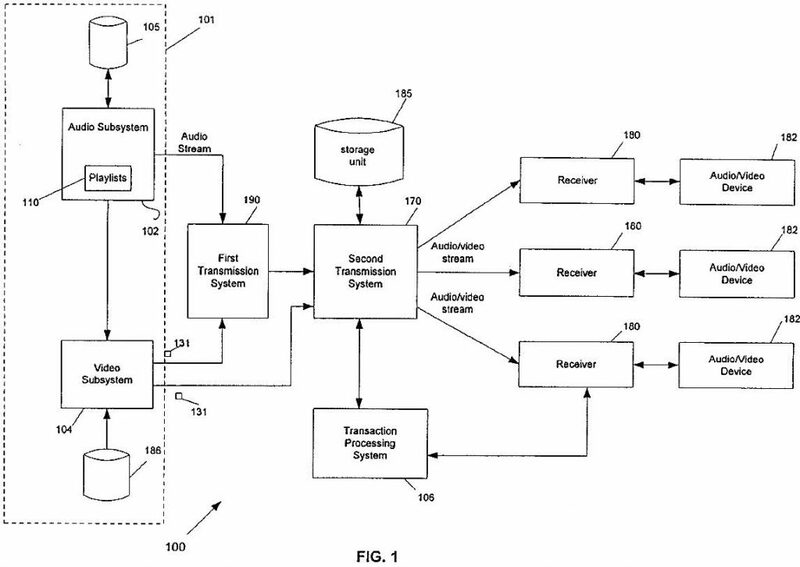 Music Choice says in their patent that you cause the output of their system to another box that will convert the HTML+audio to Video and send that over to an encoder, as most likely the HTML+Audio turned into video will be a composite screen. In one embodiment, data packet 732 is an HTML document and video image generator 702 is a hardware/software device that convert the HTML document to an MPEG video presentation. In one specific embodiment, video image generator converts the HTML document into an MPEG I-frame followed by null P-frames. Such a device can be purchased from Liberate Technologies of San Carlos, Calif. They are likely using a device such as the one described here, where the HTML is rendered, converted to VGA and then a translucent effect is applied to be combined with the original video stream. In this case, it would be the audio feed that was created from the Audio system. This could then be encoded in MPEG easily and send via ASI to any CABSAT system. In simple terms, the technology at the time used a parser, rendered the video to a videographics card, and then used the VGA/Composite output to be re-encoded to digital format. 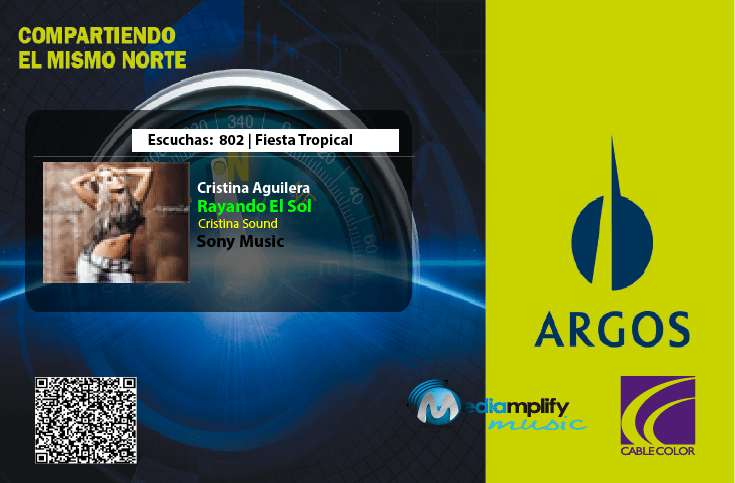 Assuming that the XML/HTML has all the song information, a screen such as the one below will be shown to the end-user in tee STB. 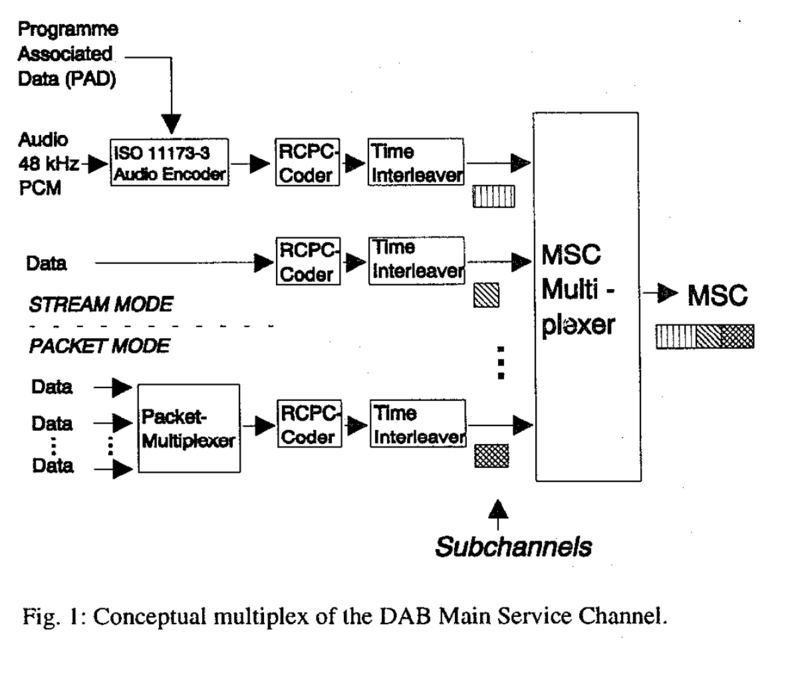 Another components from the FIG 1 that seems important is the “Trigger” mechanism, where the audio and video subsystem communicate with each other to generate the video output to be sent to a set top box. 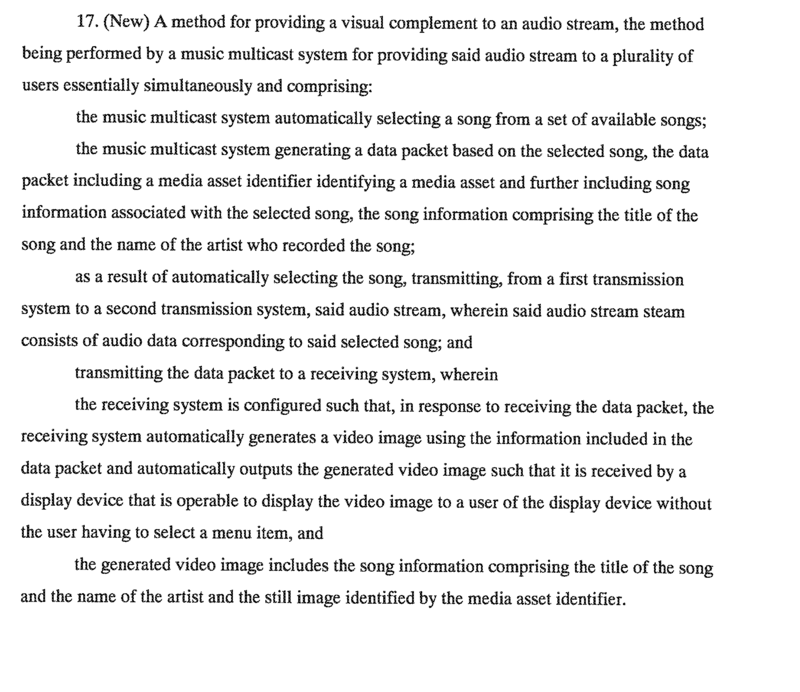 In other words, the Music Choice patent creates a music channels and processes a song after the other one producing the desired output that is then being encoded as a video stream. This process of invalidation of a patent, specially in the decision made about Music Choice’s is made as the patent is deemed obvious by the PTAB. In some cases, one patent precedes the patent in dispute, and, in some claims the combination of two or patents or publications. In this case, the analysis and decision was based on a declaration filed by Stingray Digital’ expert Dr. Shamos (CMU Professor). The main argument resides in the combination of a patent made by Mackintosh and a publication of an article by Hailler, Both documents are cited as new prior-art to the Music Choice Patent and according to the PTAB, these two combined describe the embodiment of this invention. 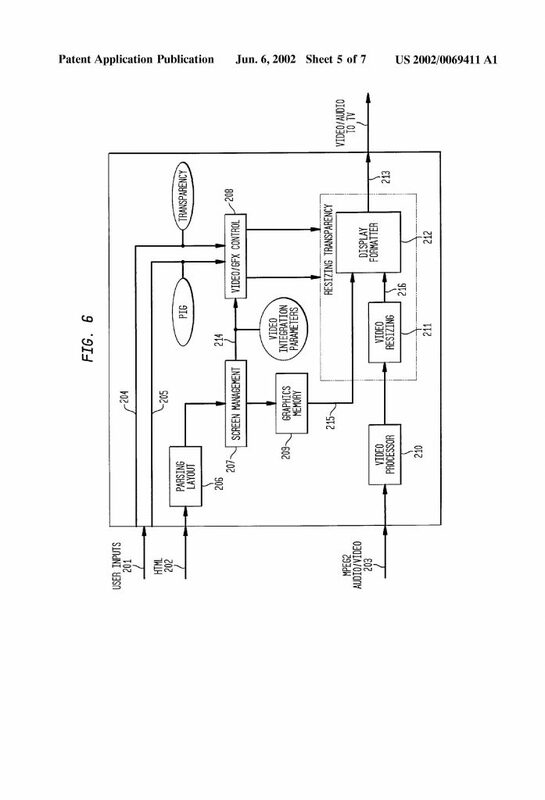 The PTAB states then that both prior-art items combined make the ‘602 patent obvious and Music Choice’s patent has claims that are not patentable which makes a lot of the arguments of infringement completely useless for this patent in particular. However, there are some major differences with Hallier, as the Multiplexer used by Hallier uses an 8192 bytes frame and not 188 bytes as in MPEG streams, additionally there are other differences, but it seems the PTAB is using the “broadest” interpretation of the claim language. As if sending UDP is the same as sending TCP, or even using a fiber is the same as using a wire? As you recall there was a Markham Hearing that the judge sided with most of the claims made by Music Choice, now the PTAB is using the hearing keywords to match the prior-art. However, either way, even if the Markham Hearing was narrower, I don’t think the IPR/PTAB would have decided with less broadness than it is judging today. The decision of course is going to need some more steps, but this is going in the bad direction for Music Choice and their legal team. Question: Is this just too broad of a decision? Nobody really understands what is the BRI or “Broadest Reasonable Interpretation” means. Basically, you can say that the PTAB may declare iPhone patents invalid if someone can present a USB cable connected to a display, is that type of combination what the USPTO seems to make obvious? and combined with a user showing a User Interface (UI) with touch? Isn’t that what the patent office is doing? This is dangerous, look Music Choice is owned by gigantic corporations, and not so sure how is this going to resonate with all of them. Sarcasm: If a new drug in the format of a pill can cure headache (e.g. aspirin), you cannot make any new drug for that? as that will be obvious under this standard? This patent, called ‘245 is related to the ‘602, and is also going in the same direction. In this particular one, only Mackintosh is used to provide the argument to review. The video image specification and the use “Broadest interpretation,” probably worked well for infringement but did not anticipate a failure for invalidity . FURTHER ORDERED that, pursuant to 35 U.S.C. § 314(c) and 37 C.F.R. § 42.4, notice is hereby given of the institution of a trial commencing on the entry date of this Decision. This indeed sets the tone for the destiny of their entire patent portfolio? 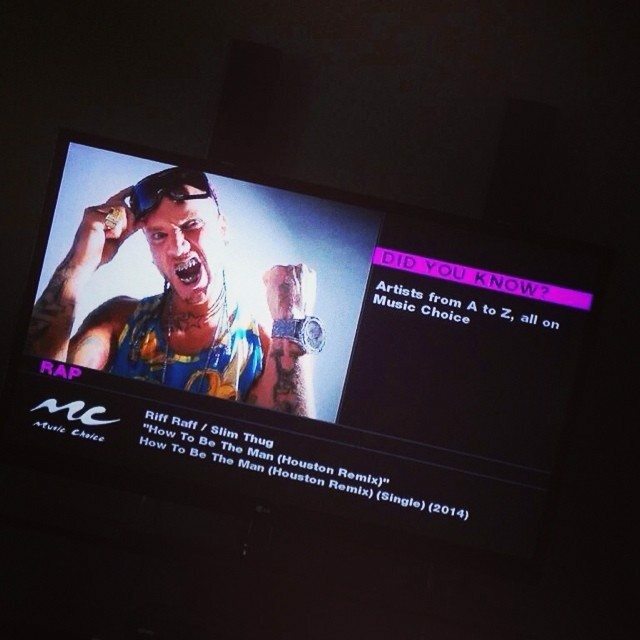 All bad news for Music Choice. What are the Options for Music Choice? Settle, continue with Patent trial, attend PTAB trial, amend claims, fewer than before and less confidence than having a patent valid and without any comments like these. Music choice still has other patents that have not been decided yet that cover the output of the video as MPEG2-Video? Maybe, the case is still being litigated and we have to see what the judge also concludes. Amazingly, Claims 10 and 11 are not mentioned, but are dependent claims to 1. 10. The method of claim 1, wherein the video image is encoded according to a Moving Pictures Experts Group (MPEG) standard. after generating the data packet, selecting the song from a playlist prior to transmitting the audio data corresponding to the selected song. Remember, this is the initial stage of the IPR, what is next is the trial within 12 months, amend claims, etc. According to the USPTO, this decision is the “Petition Phase.” Music choice may amend some claims, work more, will the patent trial in Texas continue? Stingray filed a “MOTION TO ADJOURN THE TRIAL DATE AND REMAINING DEADLINES,” I assume related to this response from Oct 19th, 2017. All indicates that within a year, the final decision is going to be made whether or not these patents are invalid or not. As you can read this claim, the main component is music multicast, and data packet receiving system. As, you may expect this new claim is more specific to the multicasting nature of the MPEG stream. The Hallier patent/disclosure packet cannot be multicasted, simply because the MPEG described in the prior-art uses a packet of 8192 bytes in size that won’t be able to be multicasted at all. Although, the patent from Music Choice, does not describe how multicast would work, however if you are an expert and skilled in the art, maybe you could say that a multicast medium is required for Cable TV with multicast streams. The battle continues in January, but these new claims add complexity to the patent(s) and the more generic ones might fail, but as you can see the more specific ones could work? Only time will tell. Tested with Cisco, Motorola/Arris/Ericsson and many more headend manufacturers and STBs. The User Interface or TV Screen in Cloud to Cable are created in HTML/JS/CSS and will be rendered with the audio input. The rendered images are stored in memory and processed to be digitally multiplexed with the audio in a digital fashion, creating the MPEG data stream directly with its own PID for video and audio, or even Data like MPEG 2-way screens for instance, this process is smart and includes different formats and technologies that are used to cache and transmit the streams. The same patented device multicasts and sends the audio in multicast addresses to all channels in use by the feed, as shown in the figure below. The input is then in HTML which is a cloud-based common API interface can be broadcasted with zero effort to Cable TV that is in different format. In summary, our technology is way more advanced than any of Music Choices’ disclosure and than any patent filed or to be filed by Stingray Digital. Music Choice has other patents, but it seems that any patent that teaches the combination art described by music choice is going to be invalidated by the PTAB.